We have been discussing the different settings of Order Delivery Date Pro for WooCommerce plugin where the last post focused on Weekday Settings in which you can set cut off time for next day deliveries. Today we will move forward and have a look at additional settings which this plugin features, one of which is Integration with Other Plugins. As the name suggests, Order Delivery Date plugin allows integration with different plugins which WooCommerce offers, that enhances the efficiency of order deliveries. WooCommerce offers this plugin where it allows you to extract the customer and order details in a CSV format. This plugin is integrated with our Order Delivery date plugin with an added functionality of displaying order delivery date of the orders. This is another WooCommerce plugin we have integrated with our Order Delivery Date plugin which further adds value to its usability. 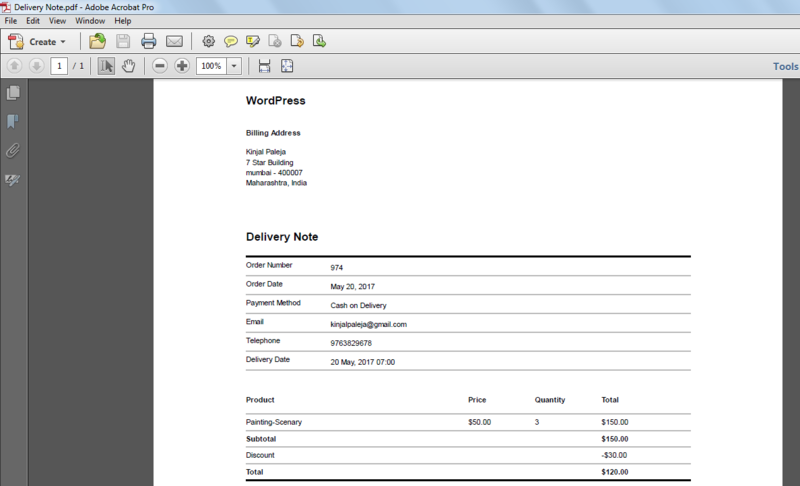 This WooCommerce plugin is used for converting Invoices and Packing Slips in PDF format. 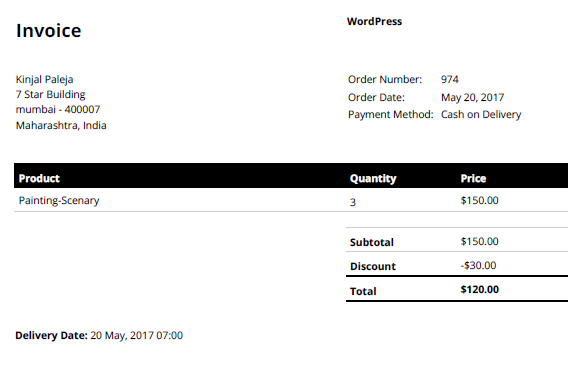 This is a self explanatory plugin which is offered by WooCommerce to efficiently print invoices as well as delivery note. When this plugin is integrated with our Order Delivery Date plugin, your invoices will also display the order delivery date as well as time, if the option is enabled on the Additional Settings page. 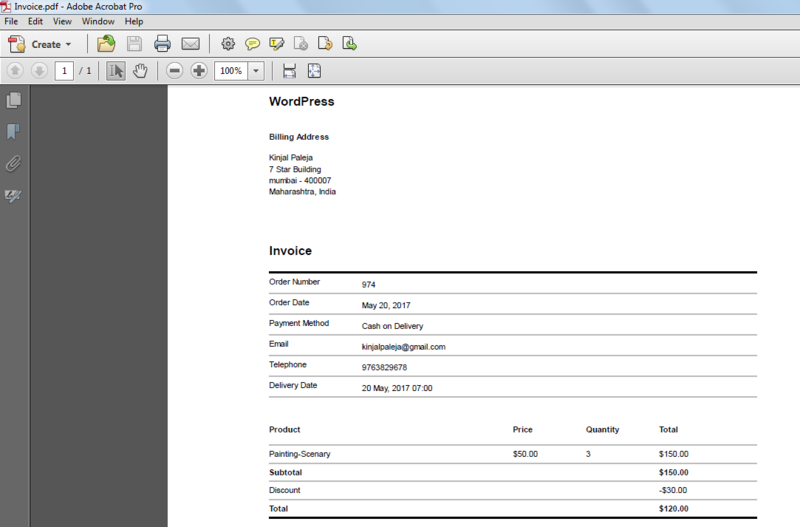 Below is an example of how an invoice would look like in a PDF format ready for getting printed when the print command is given from the WooCommerce -> Orders page. A typical order delivery note will appear as in the below image which is again in a PDF format. 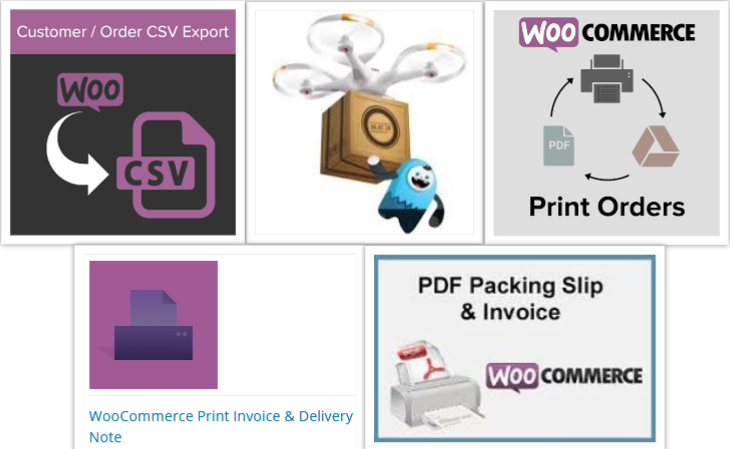 This WooCommerce plugin allows you to easily print documents for individual or bulk orders straight from the orders page as these get sent automatically and instantly to your printer. When you have this plugin enabled from our Order Delivery Date plugin, the orders to be printed will also display the order delivery date and time details which is otherwise not possible in WooCommerce plugin. This kind of added functionality in Order Delivery Date Pro for WooCommerce plugin makes it more popular among online merchants as it provides ease, systematic approach, faster delivery times along with customer and order management. Integration with WooCommerce plugins makes this plugin higher in performance and a must go for product in the market.